The unbreakable Locky is on a rampage. For your safety, don’t open this email! In the past 7 days, we’ve seen a massive surge in malicious campaigns aiming to spread Locky ransomware to as many computers as possible. Not only are the campaigns more frequent, but they’re also large scale and use infection vectors that are new for this ransomware family: fake Flash Player update sites and SVG images in messages sent through Facebook Messenger. What’s more, Locky recently changed the extension it uses for encrypted files to .aesir (which refers to a category of Norse gods). While we do love Norse mythology (as you can tell from our name), we completely disapprove of what attackers are doing with these symbols and people’s data. 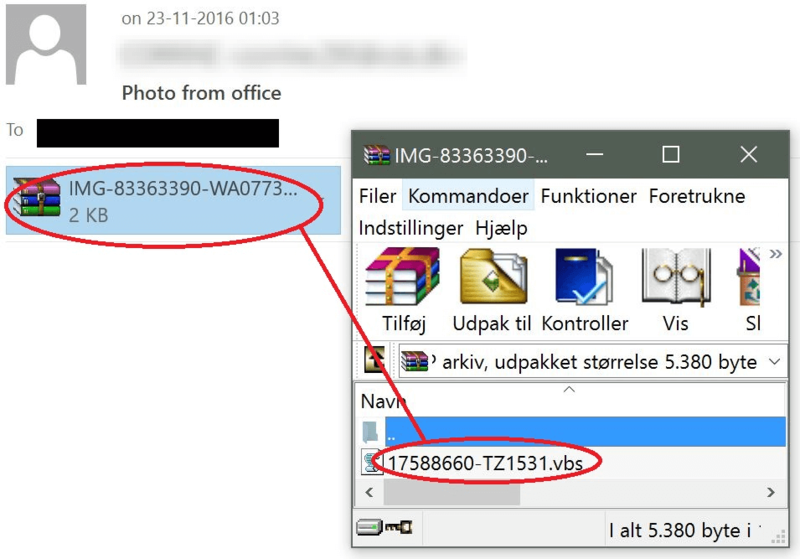 This latest Locky campaign sent millions of spam emails to random recipients in companies from all over the world. That VBS script retrieves Locky in an obfuscated form, to avoid detection. It does so by applying an XOR with the following value: “M7meLUMMVmEaR2eHds9aMc04MzRpdZmV”. The payload is then decoded locally and run on the system under the prerogatives of the logged-in user. Locky has come a long way from when it first started and it has become one of the most menacing ransomware families on the Internet today. Although there is a swarm of decryption tools available for other types of encrypting malware, Locky remains unbreakable, constantly changing its code to evade detection and block decryption by cybersecurity specialists. The best safeguard is having at least 2 backups of your data and really understanding what ransomware can do. Our dedicated guide will give you a better grasp on this threat and a short list of security measured that can really make a difference for your data protection.